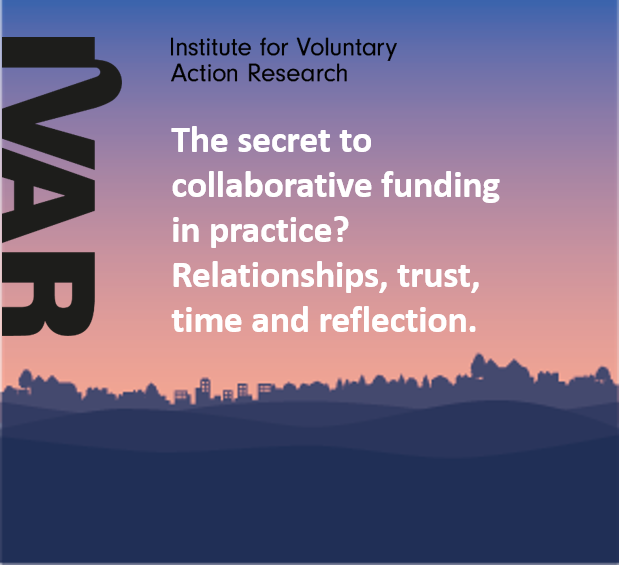 You are here: Home/Blogs & Events/Blogs/The secret to collaborative funding in practice? Relationships, trust, time and reflection. ‘Arrive gently. Engage patiently. Stay awhile. ‘Building strong, trusting relationships has been the most important element to enable partners to have robust, challenging conversations without falling out! ‘People value action more than reflection, so there is a tendency to go straight to action without enough time built in to reflect on the learning. 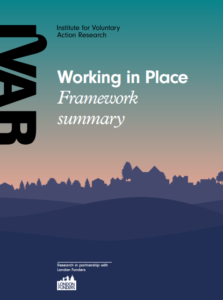 Agree that taking time to collectively make sense of what is going on is part of the work. Design an alliance that sets out how you will work together and the kind of culture or atmosphere you will create. Include how you will be with each other when things get difficult. This builds trust and creates shared responsibility. Building relationships based on trust involves acknowledging that emotions are present in the work and you need to work with them. Building relationships always takes longer than you think. ‘In our experience, the key planks to a successful collaboration are honesty, openness and a willingness to be courageous and flexible to get to the right outcome. 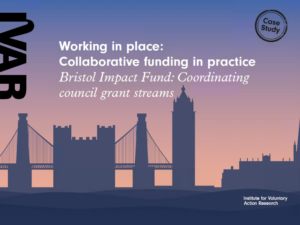 In the Bristol case study, we were very transparent about what we were aiming for in terms of headline outcomes (the approach needed to focus on beneficiaries experiencing inequality or disadvantage) and what our parameters were (as a democratic organisation, the final decisions would be made by Cabinet and the money available was fixed). We then invited people into a co-design initially on a very informal basis, then on a more formal footing once we all understood each other’s perspectives. We were really lucky in the fact that our voluntary and community sector partners were highly skilled and committed to shaping the future of the sector, were willing to work without recourse to their own organisational agendas and gave of their time, expertise and ideas generously – and those working on it from the Council side were able to be innovative and build the work into a strong shape. 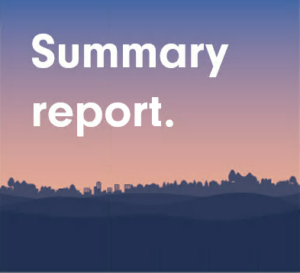 We collectively worked hard to share the progress we were making regularly to the wider sector and inside the Council, in order to be as inclusive of all interests as possible. ‘The pathways approach is designed to improve outcomes for people with complex needs. It recognises that this multiplicity of need is often compounded by the complexity of the system within which support services operate.